UPDATE (November 28): Princess of 2016! More kudos from the worlds of officialdom for Akiko Higashimura's rollicking saga of fangirls taking on Tokyo! 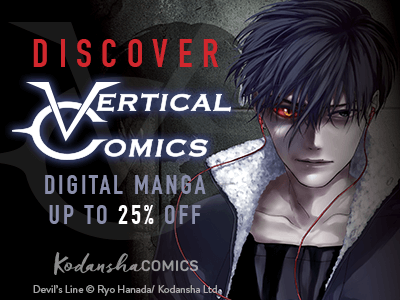 Are you looking for the perfect gift for your manga loving friends and family? It can be hard to choose in a sea of series, but this year we’ve got you covered with curated selections for everyone on your list! Girls and women who are passionate about their hobbies have been an integral part of the manga fandom for decades, and we’re proud to publish series that aren’t just for them, but about them too! Here are four series to show the geeky ladies (Or guys! Or nonbinary friends and family!) in your life that you appreciate them quirks and all. Genevieve Valentine is the author of novels Mechanique, The Girls at the Kingfisher Club, Persona, and Icon. Her essay and reviews have appeared at The New York Times, The AV Club, and The Atlantic. She’s written Catwoman and Batman and Robin Eternal for DC Comics and Xena: Warrior Princess for Dynamite. She has worked on “An Illustrated Guide to the Glorious Walles Cities” in the Attack on Titan Anthology. Jeanine Shaefer is a freelance comics editor and project manager for The Attack on Titan Anthology. NY Times best selling artist Tomer Hanuka has been illustrating for magazines, film studios, ad agencies and book publishers. He illustrated covers for The New Yorker, The New York Times, Newsweek and many others. Hanuka won multiple industry awards, including Gold medals from The Society of Illustrators and The Society of Publication Designers. A monograph of his work titled Overkill was published in 2012. The Divine, a Hugo nominated graphic novel he co-created was published in 2015, made The New York Times best seller list and won the International Manga Award. Parasyte is one of the most acclaimed manga in history—among readers and even other manga creators. It’s even been called the perfect manga. Really? Is it the creep factor of grotesque creatures that resemble but ultimately distort and derange human beings? Or maybe it has to do with timeless themes about mankind and survival, told in just eight, tightly narrated volumes. We had a chance to talk with the creator of Parasyte, Hitoshi Iwaaki, about just how he managed to do all of this.